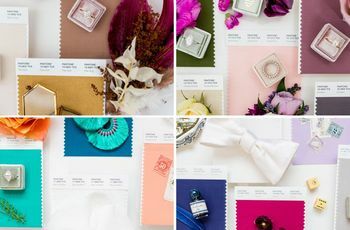 You know your zodiac sign — now it’s time to find the best wedding color palette to complement your sign’s unique traits and characteristics. If you’re anything like us, you can’t resist an opportunity to read about your zodiac sign and how it influences pretty much every aspect of your life (yes, even your wedding day). 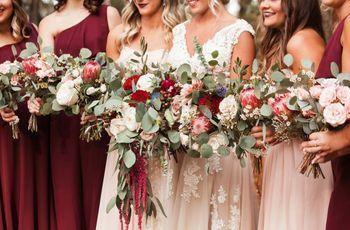 Whether you’re approaching crunchtime and need to finalize your wedding color palette or just got engaged and are in search of inspiration, your astrology chart has answers! 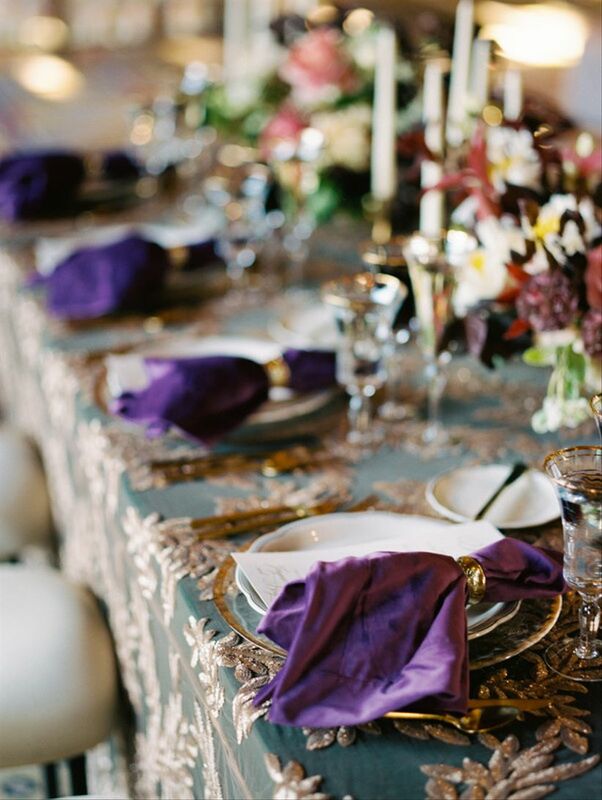 Read more about the best wedding color palette for your zodiac sign below. As the first sign in the zodiac, you’re a pro at stepping into the spotlight and trailblazing a way for the other fire signs to follow suit. 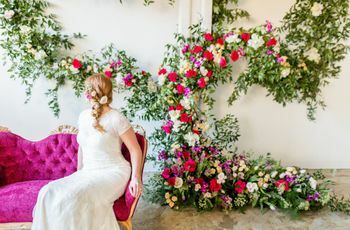 On the big day, you need a wedding color palette that’s as daring as you are, showing off your energetic and upbeat personality as you go along. A playful combination of ethereal lilac and bubblegum pink is sophisticated without being stuffy. Add a dash of crimson red to give the pastel duo a bit of substance. 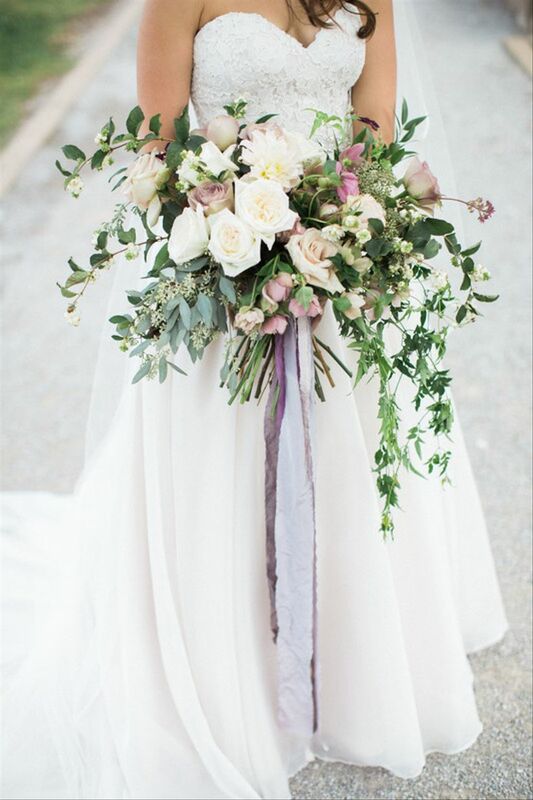 As an earth sign, a neutral color palette of creams, greens and browns is an ideal choice for your wedding day. You’re as practical and grounded as they come, Taurus, and your approach to your wedding day is no different. 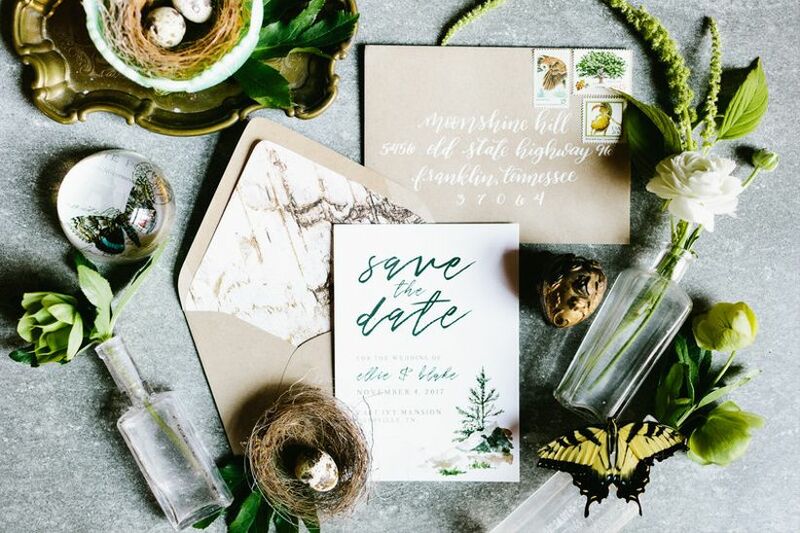 Satisfy your down-to-earth tendencies by incorporating nature-inspired hues and details into your wedding decor — they’re subtle, resourceful and sensible. 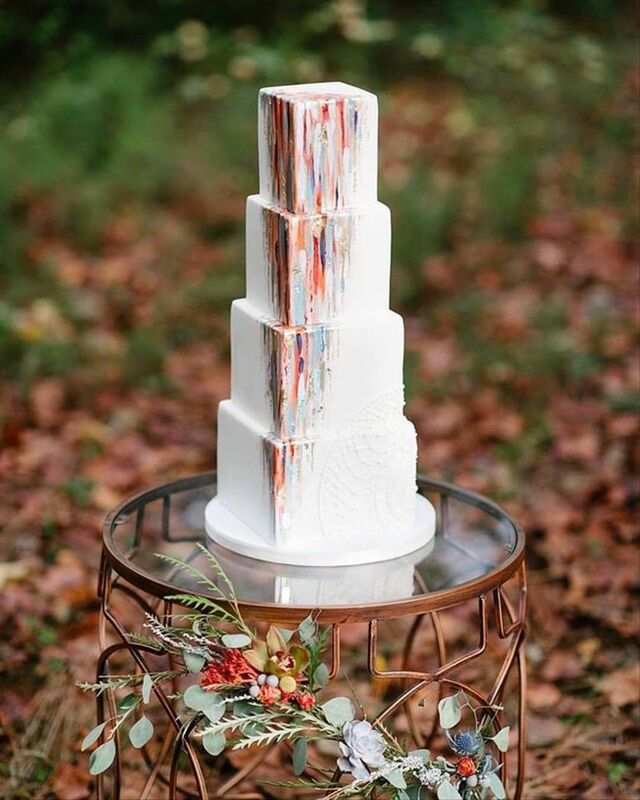 Should your wedding color palette have warm or cool colors? This is a conundrum for any Gemini, since you’re considered to be a chameleon sign of the zodiac and are notorious for changing your tune on the spot (as any air sign is known to do). But the good news is that you don’t have to choose just one — you can have both! A combination of fiery magenta and cool, calming blue balances out both sides of your personality in a spunky and eye-catching way. Cancer, you were born to make every space around you feel cozy and inviting, no matter where you are in the world. As the crab of the zodiac, you quite literally carry your home (your shell) with you everywhere. Nesting is your second nature, and this trait is sure to carry over into your wedding decor. 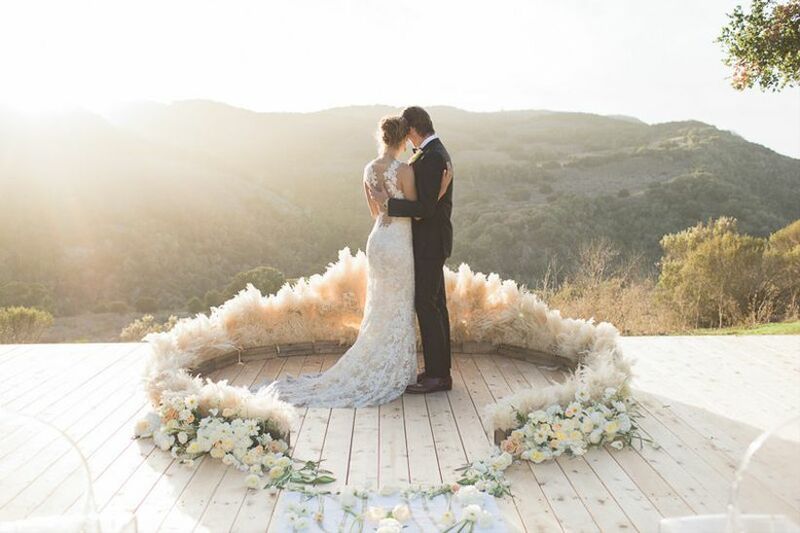 A wedding color palette of warm neutrals and soft colors (like pale gray, cream and butter yellow) satisfies your need to feel soothed and comforted while taking subtle influences from your ruling celestial body, the moon. 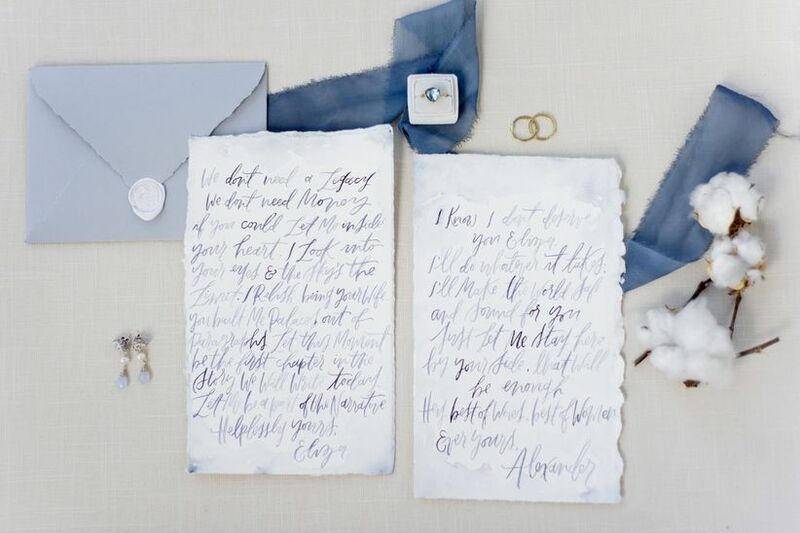 Tap into your nostalgic side by using these barely-there colors to create a romantic Old World wedding vibe. 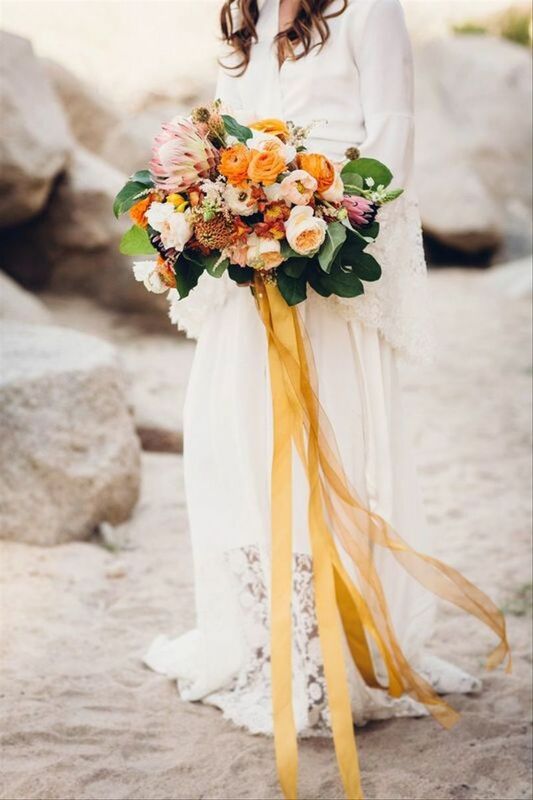 With the sun as your ruling planet, we’d expect nothing other than punchy yellows and cheerful peach hues for your wedding color palette, Leo. You’re courageous, passionate and vibrant, which is why people are naturally drawn to you! Embrace your bold personality with a sunshine-inspired color palette accented by lavish details, like abundant greenery and metallic gold, to appease your indulgent side. This uplifting aesthetic taps into your bright spirit as a fire sign. Attention to detail is everything for those born under the Virgo sign, which is why a jewel tone wedding color palette is the perfect fit. This regal palette requires impeccable execution and planning to remain cohesive – otherwise, it becomes an overload of colors and mismatched elements. As a Virgo, you like everything in its place, but your methodical approach to life certainly comes in handy when planning a wedding. You’re also an earth sign, which means you’ll appreciate crystal wedding decorations and a gemstone theme to pay homage to Mother Nature. Whether it’s keeping an open line of communication with your partner or acting as a diplomat among friends, equality and fairness are non-negotiables when it comes to a Libra’s way of life. 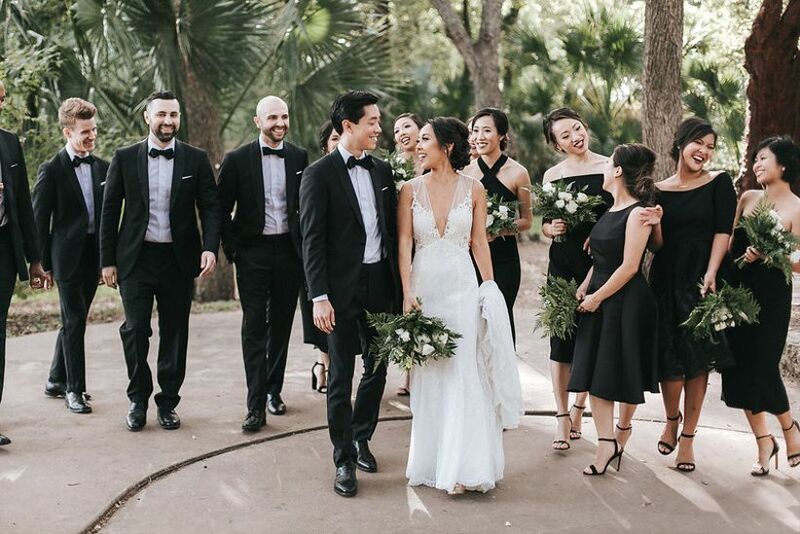 Your zodiac symbol, the scales, calls for symmetry and organization, so naturally, a black and white wedding color palette is a no-brainer. This duo is timeless for a reason: it provides just the right amount of harmony and balance. A black and white color palette also speaks to your desire for the finer things in life, as it easily lends itself to more formal dress codes. Accent with greenery to show that you have a softer side, too. No other sign in the zodiac can compete with your unwavering desire for control and mystery, Scorpio. You’re an emotional water sign — maybe the most intense of them all — and your energy is constantly transforming. 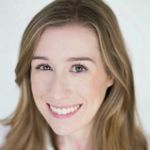 Those who misunderstand you might say that you’re moody and obsessive, but really, you’re the one sign who isn’t afraid to dive deep and fully embrace your passions, whatever they may be. 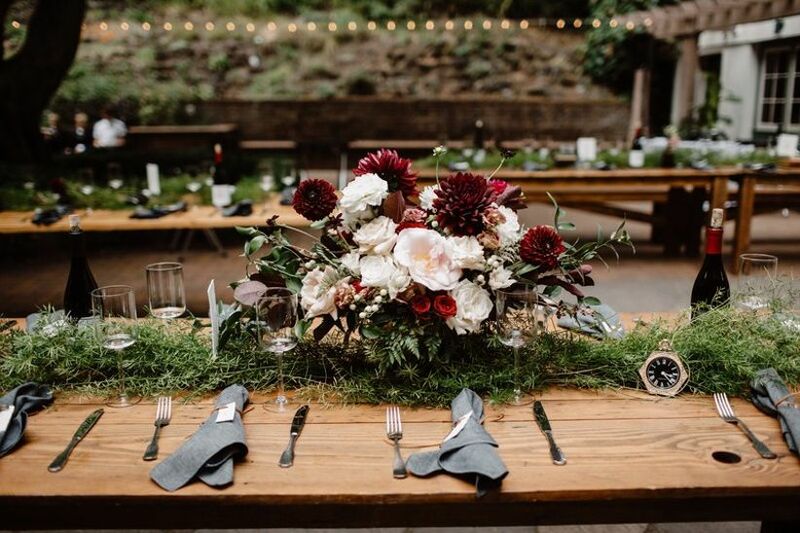 Incorporate your all-or-nothing attitude into your big day with a sultry and dramatic wedding color palette of moody hues, like dark burgundy, plum, and even black. Sagittarius, the last fire sign in the zodiac, boasts a special collection of traits. You’re open-minded, adventurous, and optimistic, leaving a trail of charisma wherever you go. You also have a penchant for speaking your mind, especially when it comes to helping your loved ones to take a leap of faith. 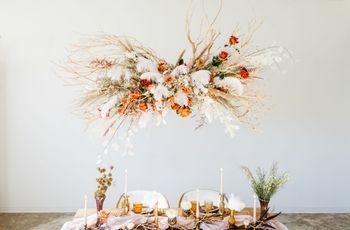 A playful wedding color palette of light blue and copper reflects your free-spirited nature while also being a bit unexpected — something that speaks to your daring streak! Add hints of complementary colors like dark blue and rust orange to tie everything together into a unique palette. 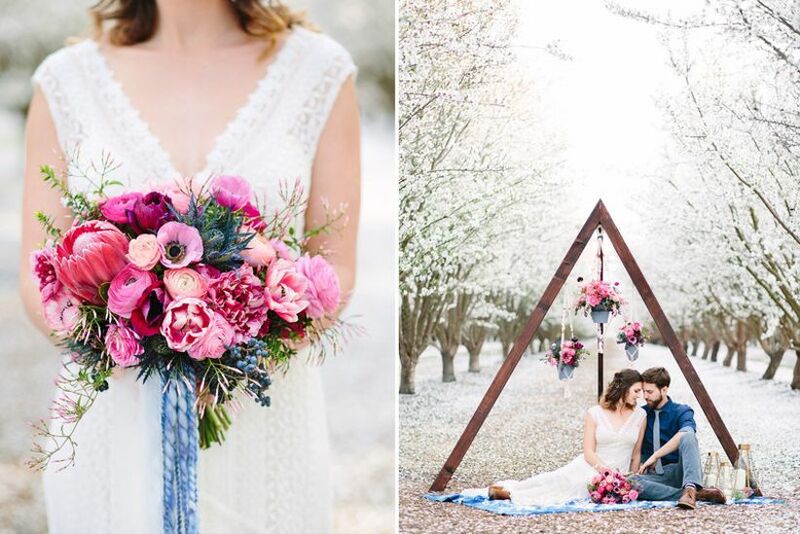 As a sensible earth sign, anything too trendy simply won’t work for your wedding color palette. You’re looking for something traditional that will stand the test of time, just like you’ve worked so hard to do. But just because you’re logical and focused doesn’t mean you’re boring! 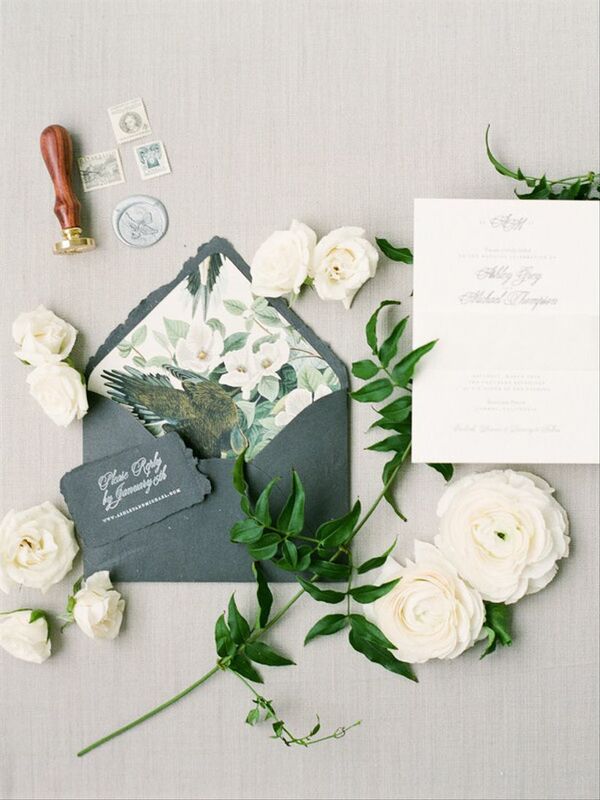 We recommend a palette of mossy green and gray as a twist on classic wedding style. This simple backdrop gives you the freedom to incorporate personal details, such as a family heirloom that’s been passed down through generations. You love to dream big, Aquarius! With your head always in the clouds, you’re known for being creative and a little eccentric at times. 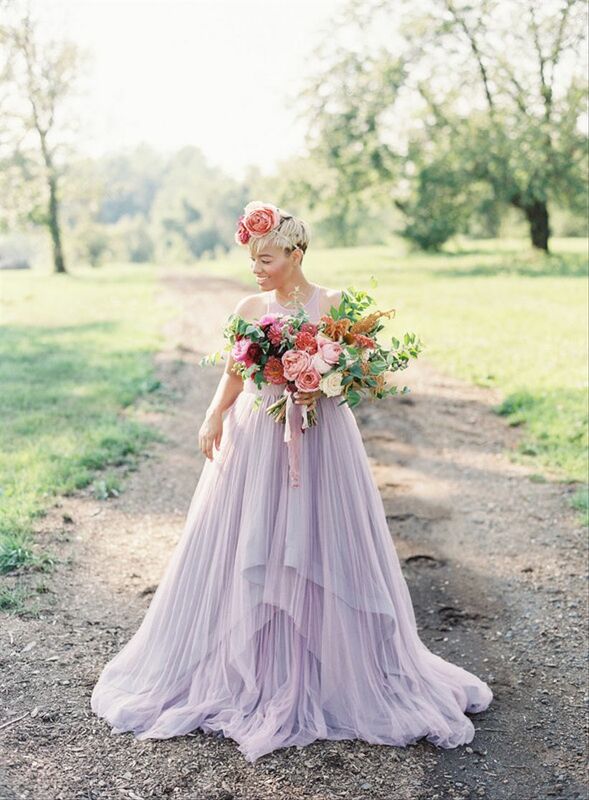 As a water sign, it’s in your nature to be free and easy going, which is why an ethereal wedding color palette of white and lavender makes perfect sense. This airy duo is dreamy and inspirational, just like you. Romantic details such as long flowing ribbons and untamed greenery create a true fairytale effect. 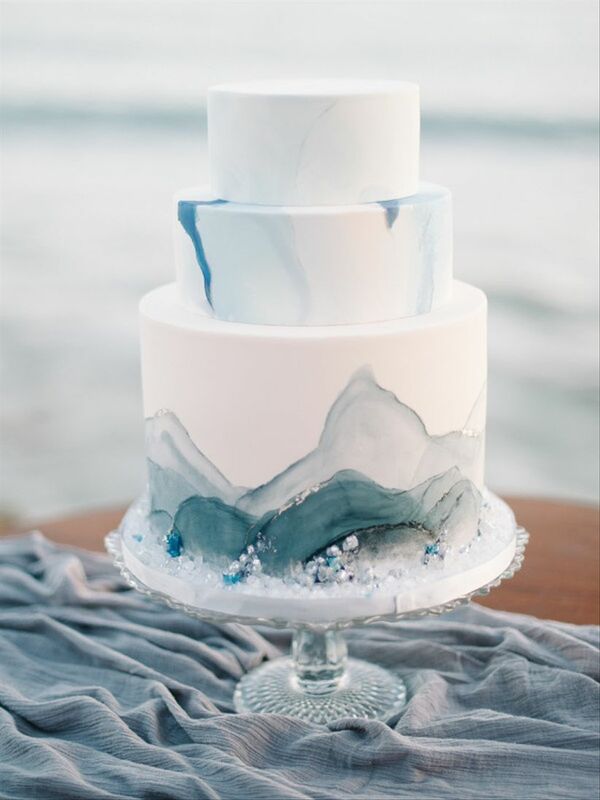 We would be crazy if we chose anything other than these water-inspired hues for your wedding color palette, Pisces. You’re the fish sign of the zodiac, representing elusiveness, emotion and sensitivity. It’s almost as though you’re a mythical creature at times, capturing your loved ones’ attention and then retreating without notice into your own space whenever life gets to be too much. Work these traits into your big day by pulling inspiration from mermaid wedding ideas that reflect your mysterious yet enchanting nature.